As many people know I am an avid supporter of the phpBB group and their superb bulletin board project, which I enjoy using and writing mods for on many different websites that I build and maintain. 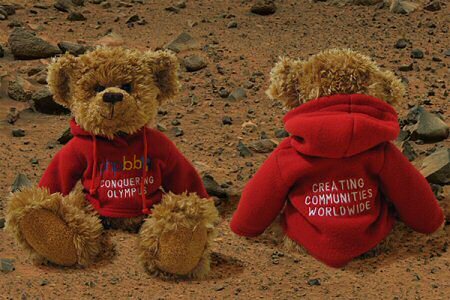 It was therefore great news when I read that limited edition phpBB Bears were going on sale for the second time (as far as I know, in history). There were a limited number available before a while back, and I missed them, but this time, I managed to get my order off on time, so hopefully in the not too distant future I should be getting my bear in the post! They are going on sale in recognition of the forthcoming release of the next generation of phpBB bulletin board, codenamed Olympus. awww don’t you just want to eat him? I’ve got mine on the way as well. I placed my order June 16. Did you recieve yours yet? I’m in the Eastern US.